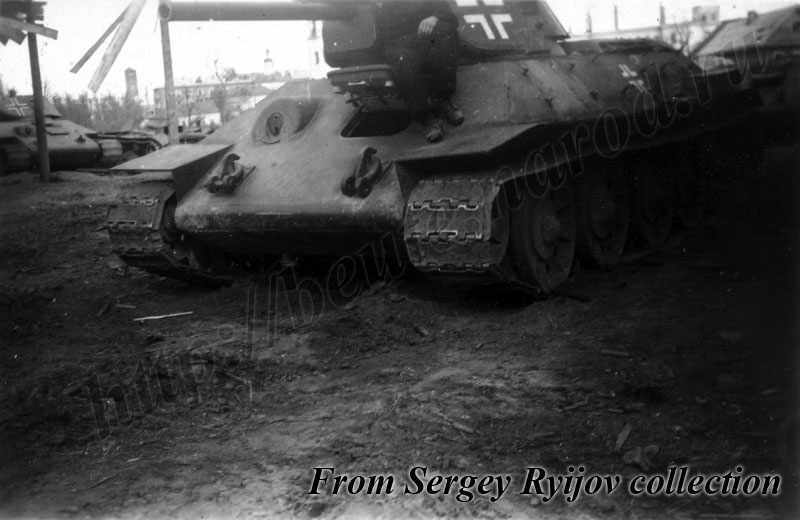 Early T-34 from unidentified StuG Abt. 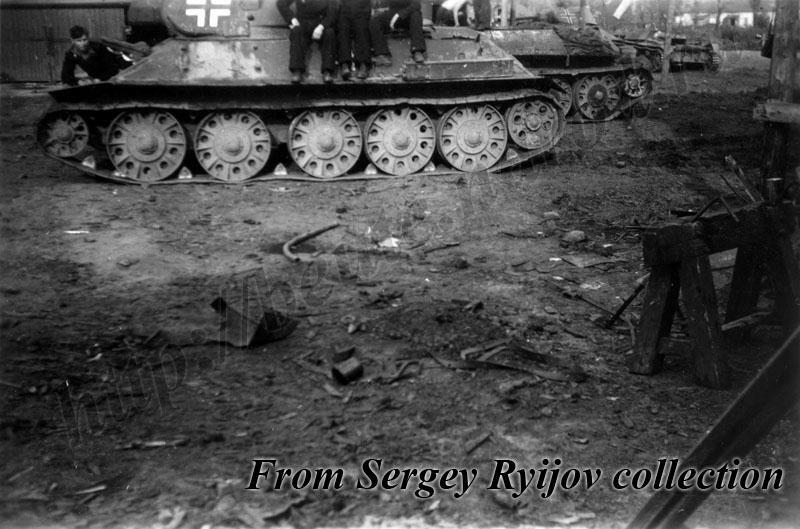 Note a different type of caterpillar tracks on the tank. 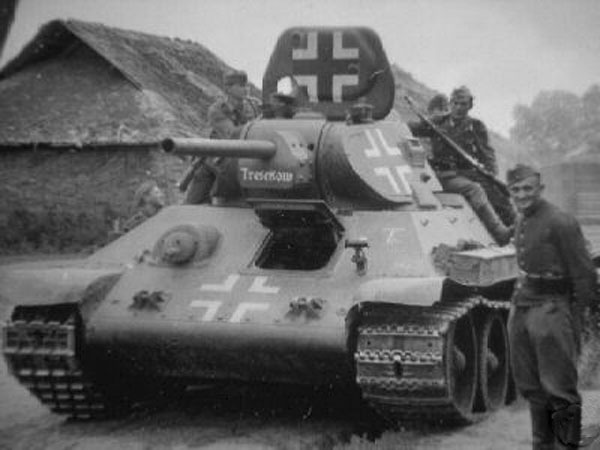 Also note a name tank on the gun mantlet. 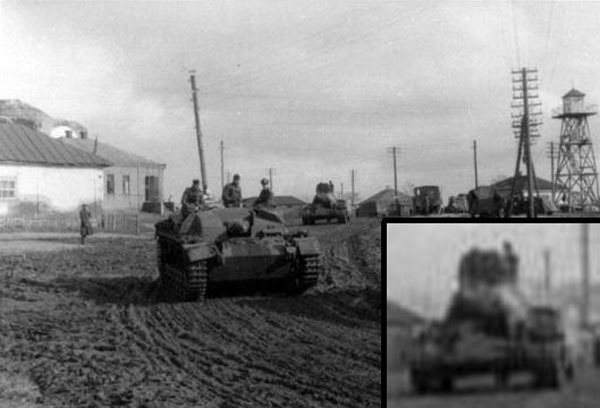 Three germans early T-34 and T-26 on the background.